Kate Lee Short. 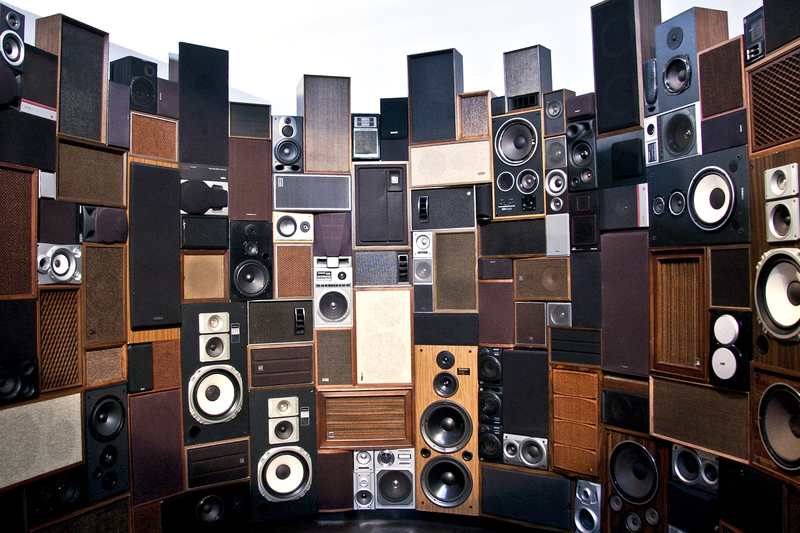 Oculus, 2012; salvaged speakers, speaker wire, Motu audio interface, Mac mini, Lepai Amplifiers, wood, 17 x14 x10 ft. Courtesey of SOMArts photo by J. Astra Brinkmann. You know what is awesome about grad school? Being around talented and brilliant artists and writers. Check out fellow classmate Erica Gomez’s guest blog post on the SOMArts Cultural Center blog regarding the Annual Murphy & Cadogan Contemporary Art Awards Group show. It’s a great write-up! Click here to view on SOMArts! Tristan Cai. 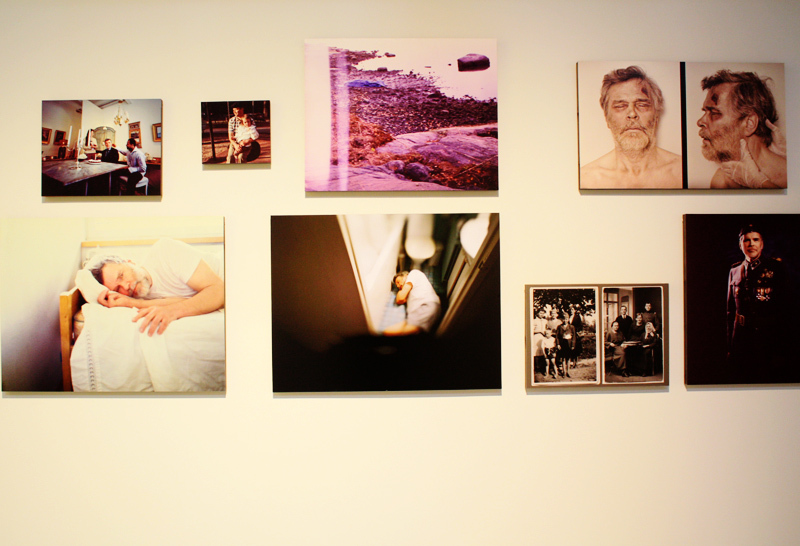 Physical Realities of Death-A Memoir of Toivo Laukkannen, 2012; archival giclée prints on wood, 216 x120 in. Photo: Erica Gomez. The Annual Murphy & Cadogan Contemporary Art Awards Exhibition is on view at SOMArts through October 2, 2012. Posted in Art, Art Writing and Criticism, Observations, Photography, Sculpture and tagged as bay area, emerging artists, erica gomez, photography, San Francisco, Sculpture, somarts cultural center, visual and critical studies, writer. Tristan Cai. Physical Realities of Death reminds me of that Dylan Thomas poem (forgot the title, but a classic). I wouldn’t, admittedly, be able to enjoy and appreciate it as I should were it not for one of my teachers (who, by the way, was a friend of Sade’s dad who was a professor).